I once suggested to Hawaii’s revered U.S. 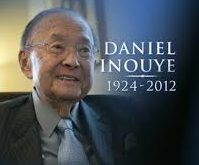 Senator Dan Inouye that every newly-elected member of Congress should be required to take a cross country train en route to first assuming his or her new responsibilities in Washington. My point was simply that it’s impossible to take any one of Amtrak’s long-distance trains and not confront the fact that there are a helluva lot of poor people in this country. Of course there are great stretches of magnificent scenery, but you also pass broken down shacks and dusty trailer parks with row after row of manufactured homes set six or eight feet apart. And most of the occupants appear to be elderly. Of course the good senator—a hero of mine, by the way—had no idea what I was talking about. I’ve had a Citi Bank Visa card for something like 25 years. I originally signed up because every dollar changed gets a mile added to my American Airlines Aadvantage account. However, I was recently informed that City Bank is switching over from Visa to MasterCard. Nothing has changed, the assured me. I’ll still get the American Airlines miles and all the other benefits. That’s fine, but I have memorized that number and not it’s no longer valid. What annoys me is they made it sound as though the switch-over to MasterCard was a also a benefit … just one more of the many the folks at Citi Bank are heaping upon me. I was really torn when it came to which team in the World Series I would root for because both the Chicago Cubs and the Cleveland Indians have connections to “my” team, the Red Sox. Boston suffered through an 86-year drought before finally winning in 2004, and that seemed to out-weigh everything else. Finally, I came down on the side of the Cubs, my rationale being the 108-year dry spell since their last World Series championship. And they did it! I can’t wait for this election to be over if for no other reason than November 8th should bring an end to the floods of solicitations we’ve been getting for the past several months. Now, in the final week of the campaign, the solicitations have reached a peak. Today alone, I have received 17 emails from committees, from individual candidates and from PACs. Please, God … Make it stop! Previous To Sea or Not to Sea: That Is the Question. 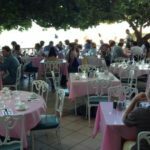 NextNew Viewliner Diners In Service?